Hello readers. 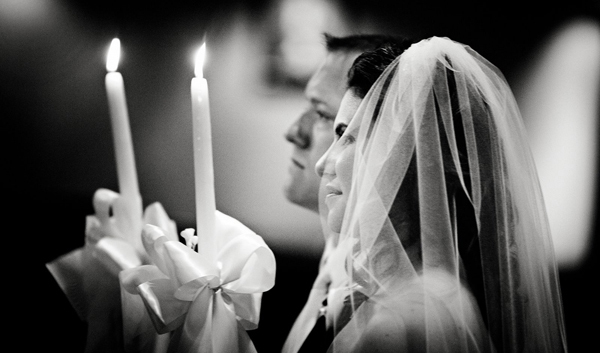 Here are a collection of Traditional Wedding Vows. I, (name), take you (name), to be my (wife/husband), to have and to hold from this day forward, for better or for worse, for richer, for poorer, in sickness and in health, to love and to cherish; from this day forward until death do us part. There are many different types of Protestant churches, all with their own slightly different traditions and beliefs. Below are typical vows from various denominations, but you’ll find many of them differ only slightly from one another. I, (name), take you, (name), to be my beloved (wife/husband), to have and to hold you, to honor you, to treasure you, to be at your side in sorrow and in joy, in the good times, and in the bad, and to love and cherish you always. “Let us take the first step to provide for our household a nourishing and pure diet, avoiding those foods injurious to healthy living. “Let us take the second step to develop physical, mental and spiritual powers. “Let us take the third step to increase our wealth by righteous means and proper use. “Let us take the fourth step to acquire knowledge, happiness and harmony by mutual love and trust. “Let us take the fifth step so that we are blessed with strong, virtuous and heroic children. “Let us take the sixth step for self-restraint and longevity. “______, do you take this woman/man, ______, to be your wife/husband? Do you pledge to share your life openly with her/him and to speak the truth to her/him in love?